Box Office: Rajkumar Hirani’s Sanju starring Ranbir Kapoor in lead has set the Box-Office on fire. The much-anticipated film, which is a biopic of Sanjay Dutt has raked in approximately Rs 38.60 crore on its second day taking the two-day total to 73.35 crore. An interesting point to note here is the fact that such numbers have come despite a non-holiday release, and the movie is now set to cross the much hyped Rs 100 crore mark at the Box-Office within 3 days in India. The word of mouth around the film is extremely positive all across, and the biz is expected to witness an upward trend on Sunday as well. The Sunday collections of Sanju are expected to be around Rs 44 to 45 crore, however a higher number cannot be ruled out if the mass centres don’t show a drop in the evening and night shows. The Rajkumar Hirani directorial will also be looking to surpass the opening weekend number of Salman Khan’s Tiger Zinda Hai, which raked in Rs.114.93 crore in the first three days. Sanju needs to collect in excess of Rs 41 crore on Sunday to record the biggest opening weekend of all time for a Bollywood film, and the same should happen with ease. The worldwide distribution rights of Sanju were sold to Fox-Star Studios for Rs 110 crore, and the opening weekend biz has ensured that the film will end up being a massive money spinner for the studio. The question now isn’t about recovery, but how high does the film ends up earning in the long run. A lifetime total of Rs 300 crore cannot be ruled out, given the way the film has trended as of now, and the hold on Monday will give a clear idea as to weather the film will surpass the Rs 300 crore mark or no. Sanju Movie Review: Ranbir Kapoor Gets A Pool To Reflect In & He Grows To Conquer! The opening weekend collections of Sanju has taken the entire trade by surprise, however the common consensus is that the accepted trailer backed up with Brand Rajkumar Hirani, Strong Content, Ranbir Kapoor’s star-power and phenomenal performance have contributed to the opening of this film. Well, the game has just begun and a lot of records are left to be shattered in the coming few days. PS: The film will record the biggest opening weekend of all time for a Bollywood film, however will fall short of Baahubali 2, which raked in approximately Rs. 128 crore. 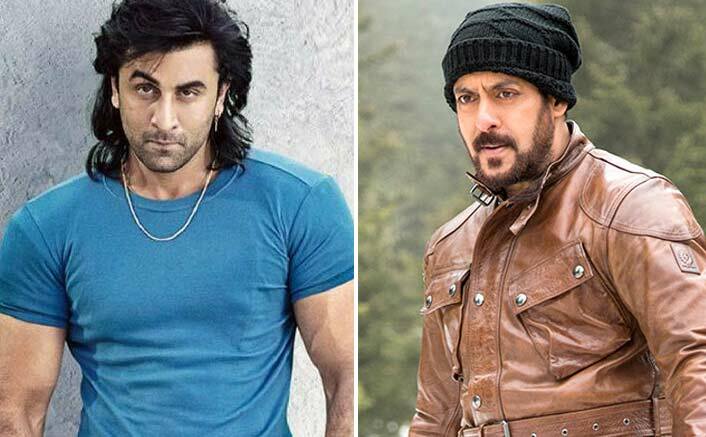 The post Box Office: Will Sanju Defeat Tiger Zinda Hai To Record The Biggest Opening Weekend Of All Time? appeared first on Koimoi.